It feels real because it is in these diaries based on true events. Not just a story anymore. 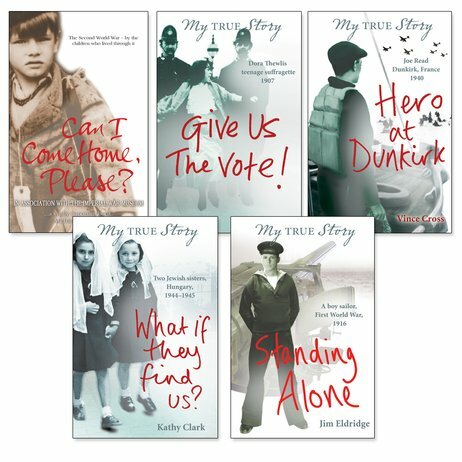 The mega-selling My Story series takes an even more gripping twist with these tales based on real history. 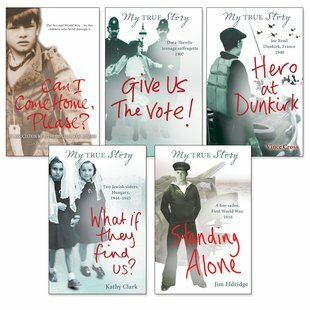 Some are true stories of real-life characters, like Jack Cornwell – one of the youngest heroes of the First World War. Others show you real events through diaries based on survivor accounts. From the Holocaust to D-Day and beyond, see what it was like to live at the centre of history.